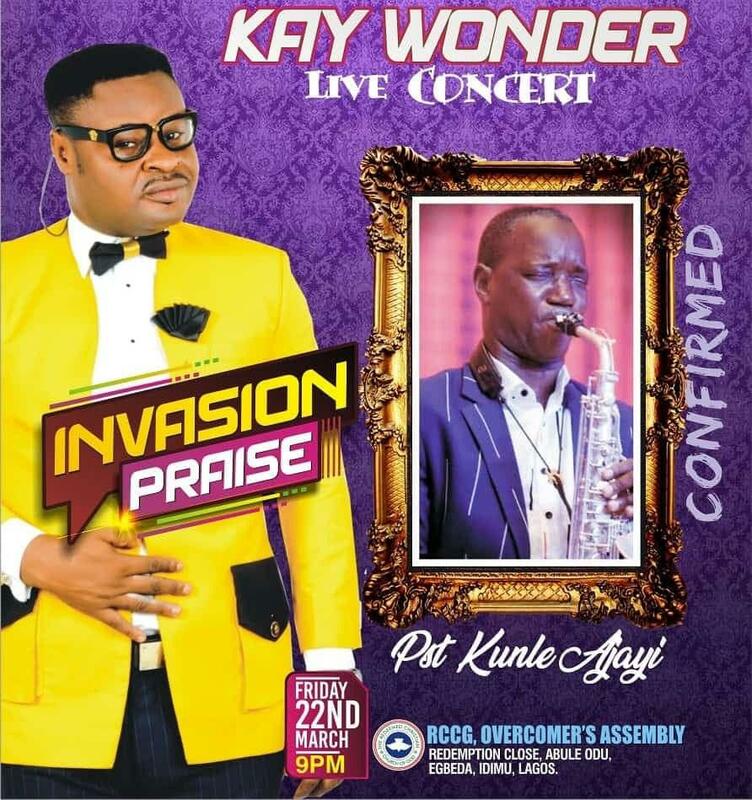 Kay Wonder Live Concert 2019 Titled INVASION PRAISE Featuring Pastor Kunle Ajayi, Mike Abdul, Laolu Gbenjo, Bukola Bekes, Beejay Sax, Tosin Bee Etc. 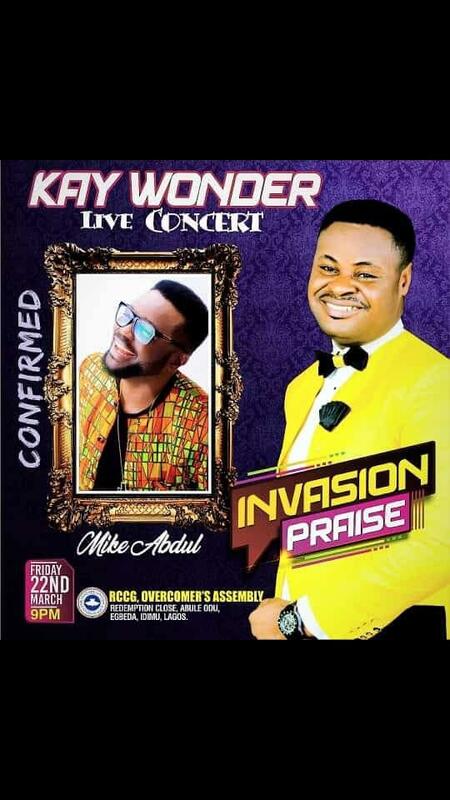 Heaven is ready to be bombarded, not with prayer requests this time, but with the sweet aroma of Intense Worship and HOT PRAISE unto the only living God. 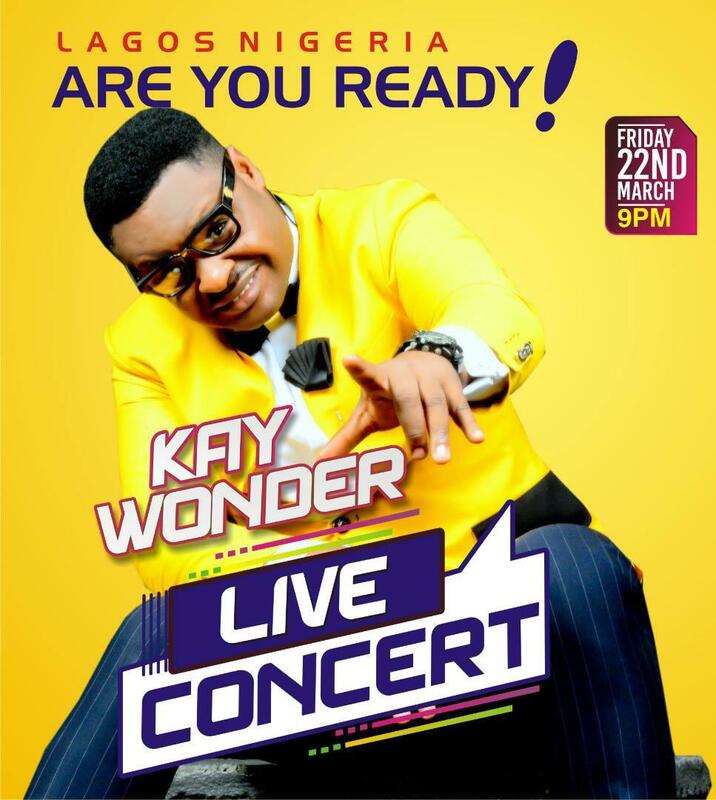 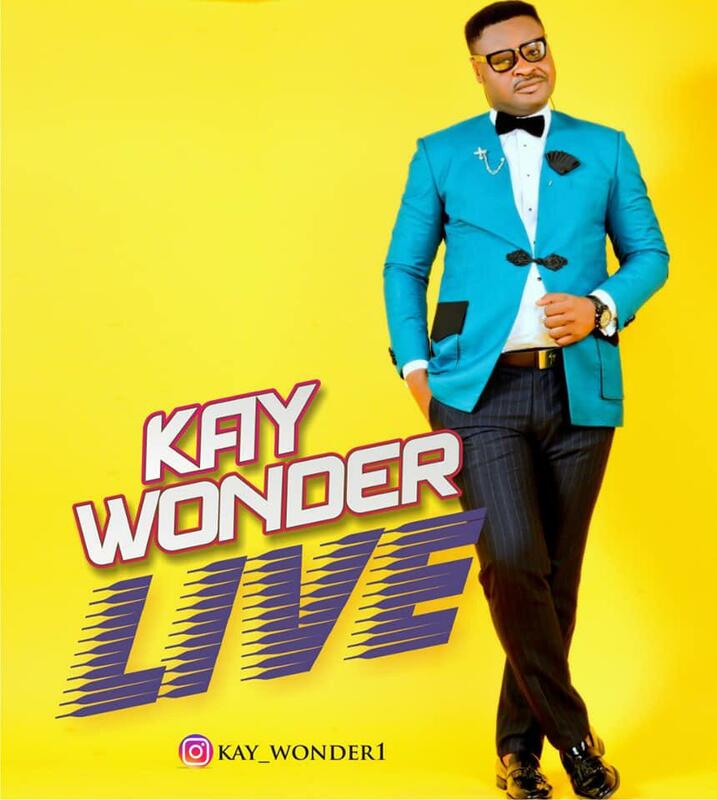 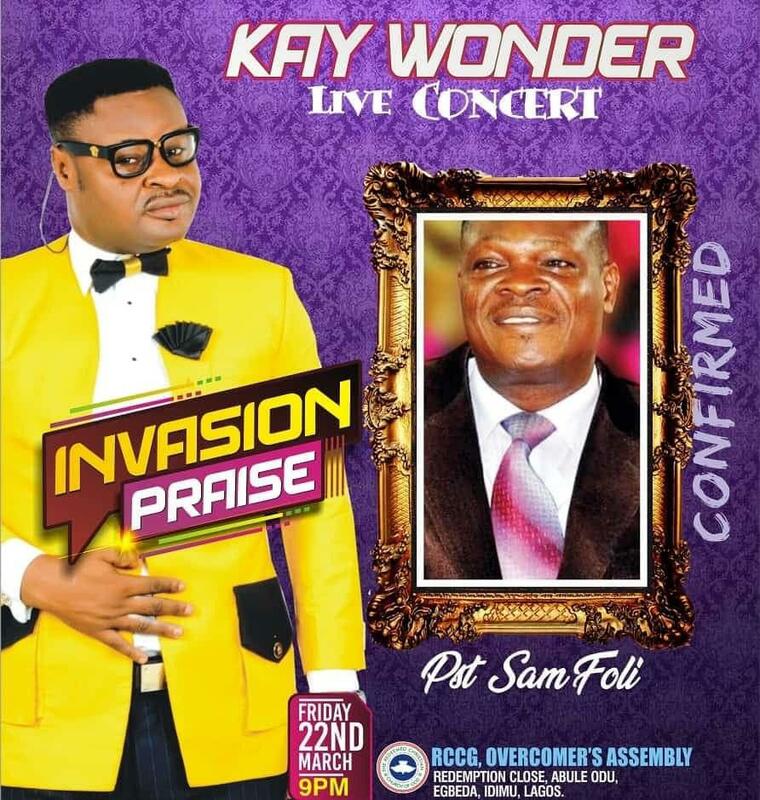 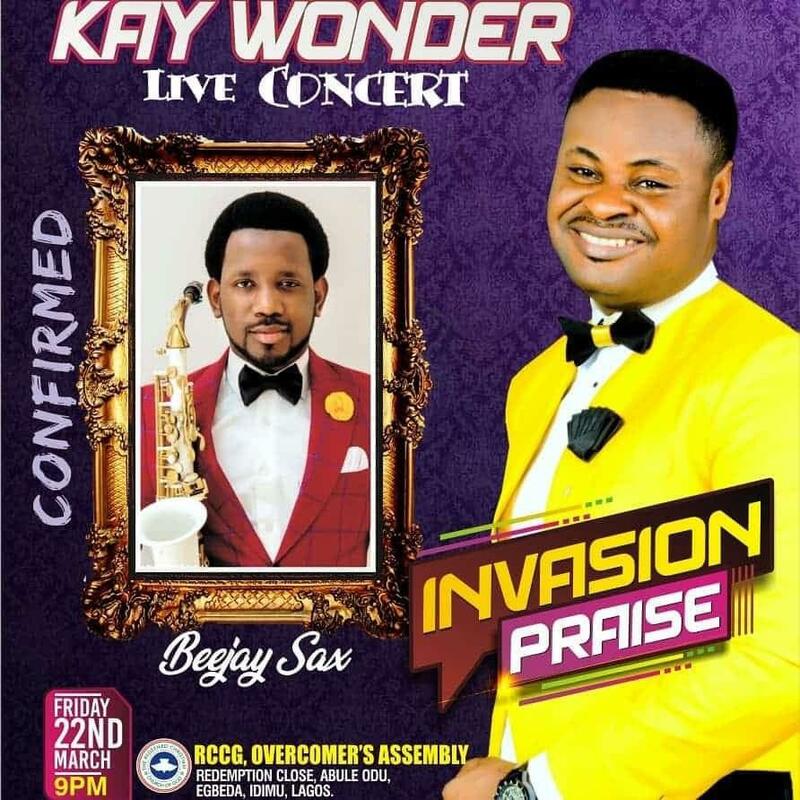 Kay Wonder, is set to host every true worshipper on earth, at his “first-ever” concert Titled iNVASION PRAISE. 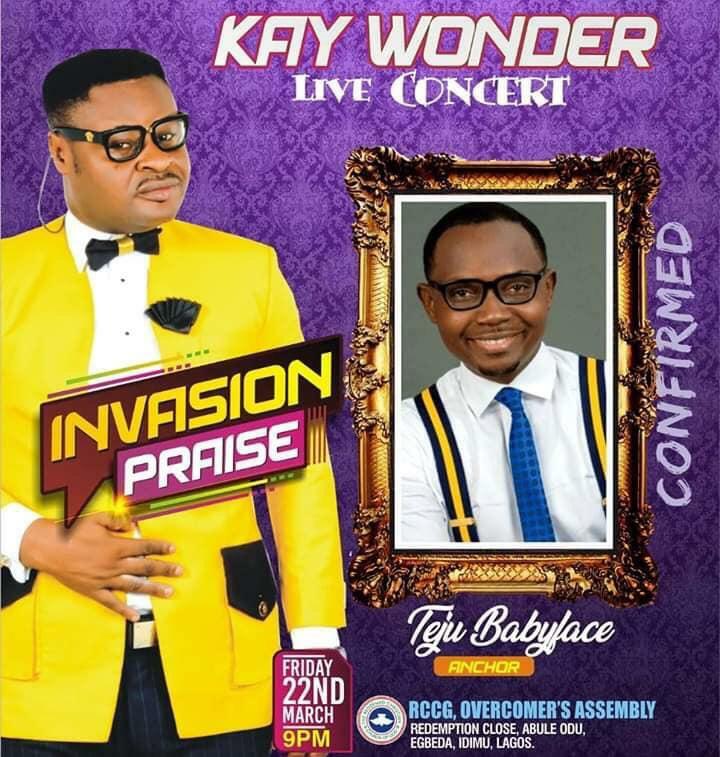 You are cordially invited to Invasion Praise Concert happening LIVE on 22nd of March, 2019. 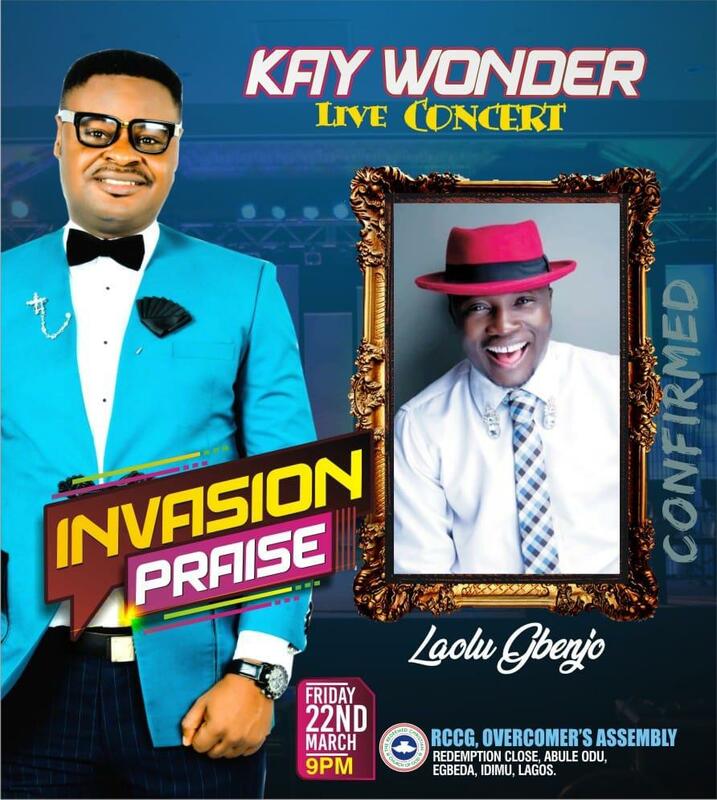 It promises to be exceedingly GREAT!. 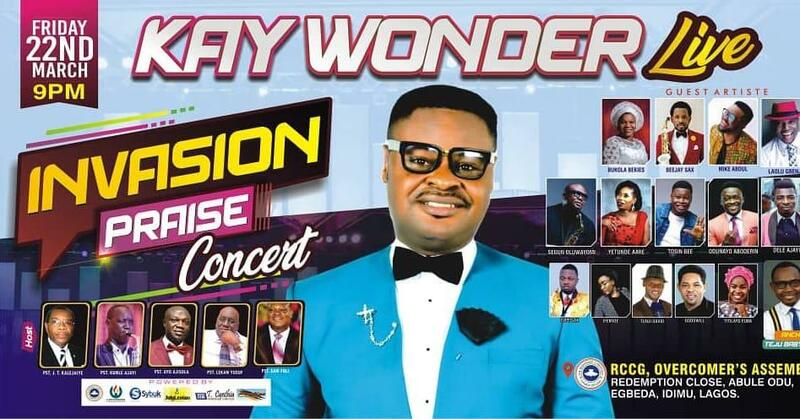 The musical concert will take place at The Redeemed Christian Church Of God, Overcomer’s Assembly Redemption Close, Abule Odu Egbeda Idimu, Lagos.